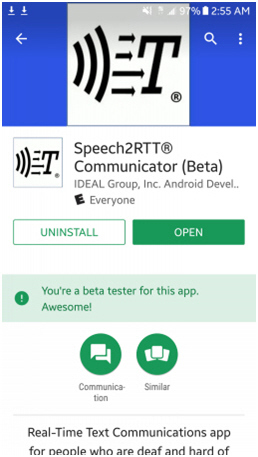 This post explains how to uninstall the Beta version of Speech2RTT in order to install the released version. 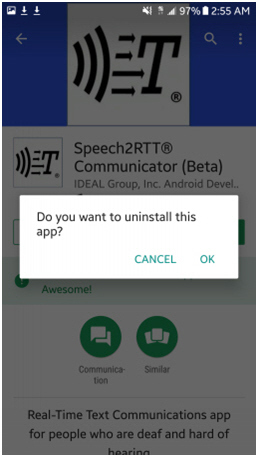 Leave the Speech2RTT® Beta testing program. 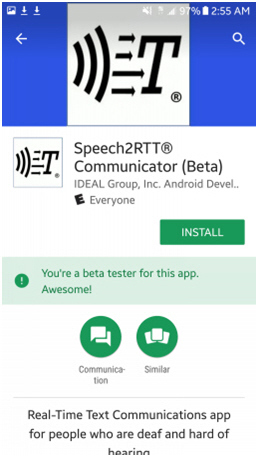 Using the Android smart phone on which you installed the Beta version of S2RTTC, go to the Google Play Store using the Google Play app. You will see the following entry. 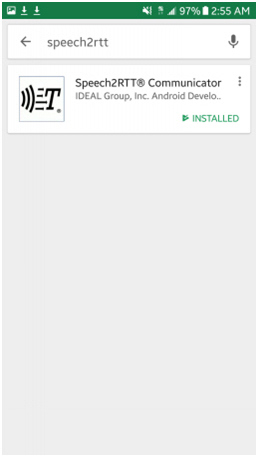 Tap on the selection presented. 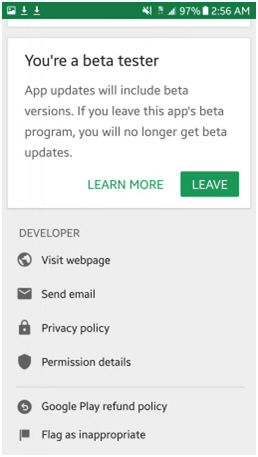 Click “OK.” You will see and active “Install” button. 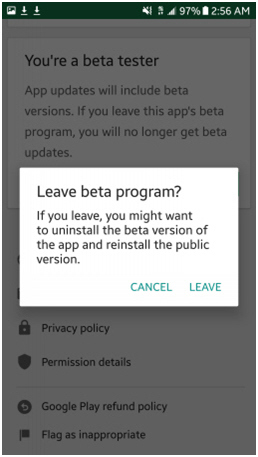 This means that the Beta has successfully been uninstalled from your smart phone. 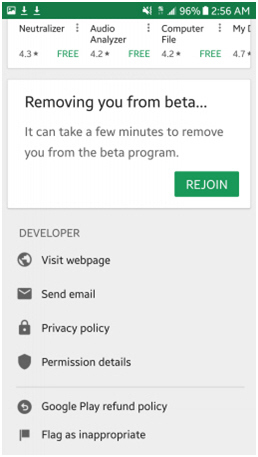 Click “Leave.” You will then see the following “Removing you from Beta…” banner.